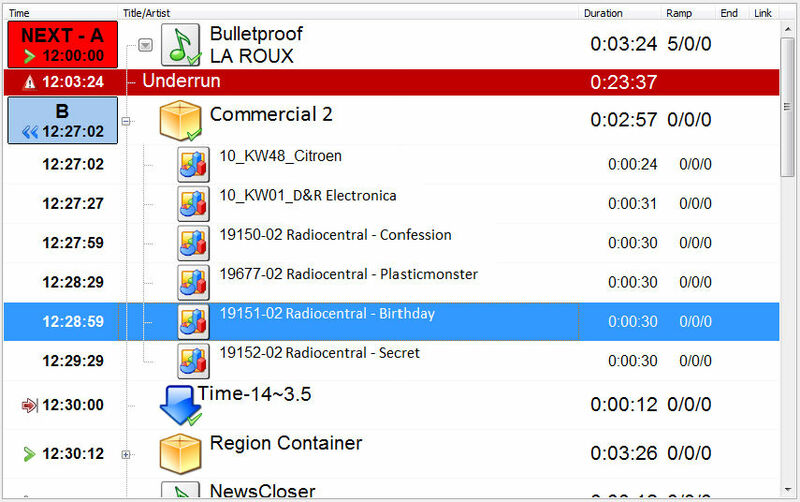 AIRCAST is a light-weight, full-featured radio automation system for Microsoft Windows. It is targeted at small and medium-sized stations and for both terrestrial and Internet-based broadcast. 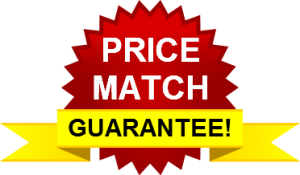 It offers features often only found in some high priced, high-end professional packages. AIRCAST was designed to be as flexible and customizable as possible. It works with standard PC hardware, supports virtually any soundcard and offers an unbelieveable smooth integration with our AIRENCE mixers. You could see it as the ideal solution if you’re looking into upgrading your studio with a decent digital radio automation system perfectly matched with D&R’s AIRENCE and AIRLAB broadcast mixers. - Powerful, rock-solid play-out system. - Highly customized GUI with a clean and easy to use interface. - Excellent support for standard PC and audio hardware, works over USB or with any DirectSound, WASAPI or ASIO compliant sound card. - SQL-based audio database with built-in music scheduling optional. - On-the-fly voice track recording. 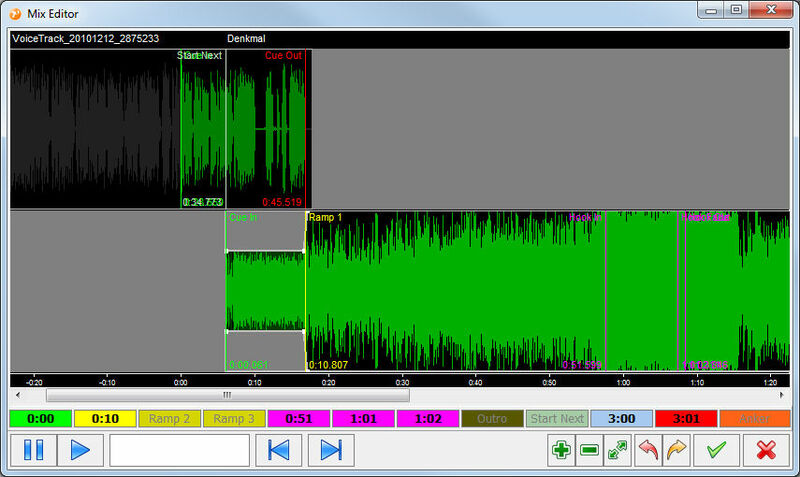 - Built-in Internet streaming encoder with support for external sound processing plugins. In addition to ordinary audio files, AIRCAST supports a number of special items that can be added to the playlist, e.g. Internet streams (for re-broadcasting), dummy items (non-playable items that can contain texts, notes etc.) and containers (virtual items that contain an arbitrary number of other items – useful for advertisement breaks that consist of multiple spots) LIVE FEEDS Rebroadcast any line-in audio signal using the virtual Live Feed playlist elements. AIRCAST offers numerous features that makes the presenter’s life easy, helping him or her to produce a perfect show. For example, fixed times are supported in Automation mode, so items can be started automatically at given times. The anticipated starting times of all items are calculated and displayed continuously for perfect back-timing. During the intro/ramp of a song, a large countdown is displayed. Using the Event Scheduler, you can execute arbitrary actions at scheduled times, e.g. insert news items or load the playlist for the next hour from an AIRCAST data base (DB). This makes it very easy to set up a 24/7 automated program. utilizes the BASS Audio Library for playback, which is known for its stability and flexibility and its excellent support for inexpensive standard PC hardware. AIRCAST works with any DirectSound compatible sound card. WASAPI and ASIO SUPPORT In addition to DirectSound, WASAPI or ASIO can be used for low-latency audio playback and recording. AIRCAST is an SQL-based database backend for managing your audio library and music schedules. Setting up an AIRCAST database is optional – you can just load your playlist from the file systems – but AIRCAST is much less powerful without it. For standalone installations on a single PC, the AIRCAST database can use SQLite as the backend; all data is stored in a single file on your local hard disk then. And you do not have to install and maintain an SQL server. AUDIO LIBRARY Pointing it at your audio folders, the AIRCAST database will scan your hard drive for audio files and register them in the audio library. This is where all metadata about the items is stored, e.g. artist/title information, cue markers etc. For each day and each hour, you can save a playlist (created manually or automatically through the Mini Scheduler) which is later grabbed and played by the play-out module. AIRCAST D(ata) B(ase) includes the Mini Scheduler that creates random playlist or music logs based on freely configurable hour templates. 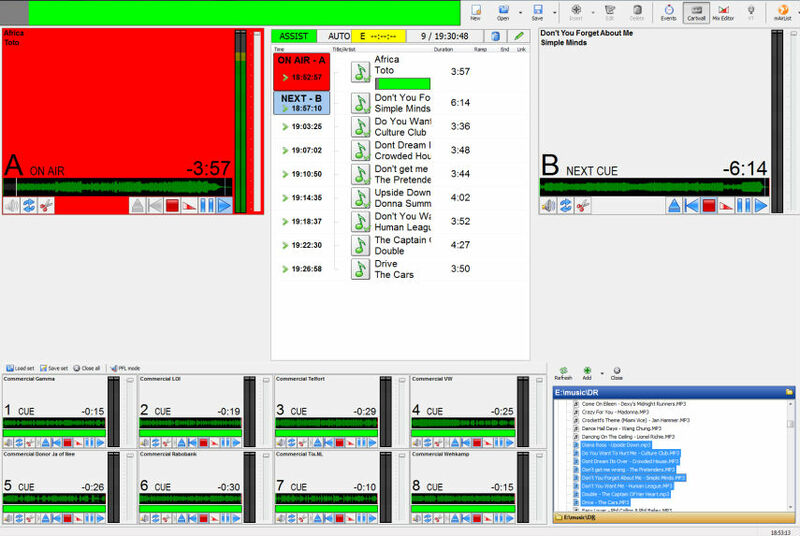 You can also import play-lists generated by external music scheduling software (e.g. Powergold) or ad schedulers. Using hierarchical play-lists, you can set up multiple “playlist categories” (e.g. Music, Ads, Jingles), generated or import content for each category separately, and then merge everything into a common log. 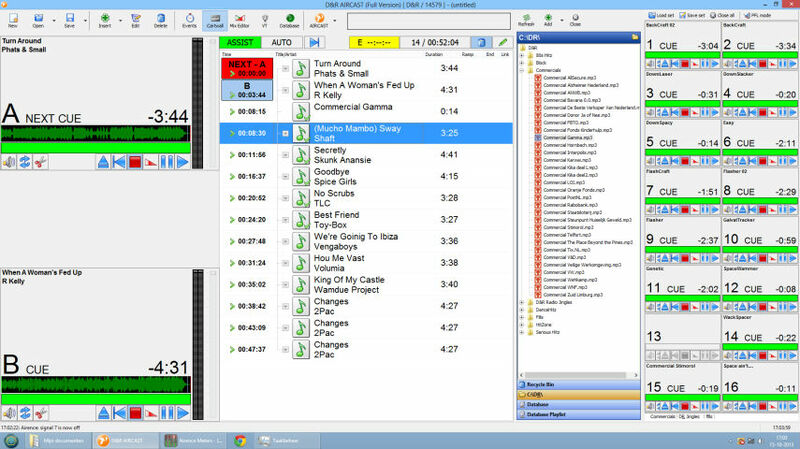 Play-lists that were generated through the Mini Scheduler can be edited manually at any time. The Voice Track Recorder is also available in the database playlist editor, so you can record and insert voice tracks into any future playlist. THIRD PARTY DATABASES The flexible database layer of AIRCAST allows you to connect not only to the AIRCAST DB but also to databases from third-party vendors. A number of database types, e.g. iTunes, is supported out of the box. And much much more, email us for brochure or a manual.